A 13ft by 13ft beach hut that contains no bedroom as well as no electricity has been put on the market for a record price of £225,000, indicating that the sale of beach huts may well be outperforming properties even in the most sought-after boroughs of London. 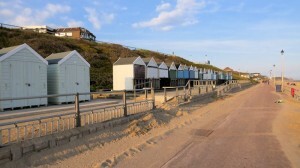 The hut is located in Mudeford Split, Dorset, an area occasionally referred to as “beach hut Mayfair” and where the turn over of huts is regular. 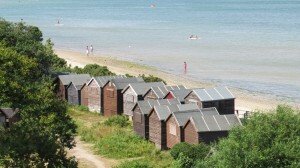 Telegraph Money calculated the average price for beach huts in Mudeford for the first half of 2012 to be £147,000. It was calculated by turning up three previous sales, one at £126,000 another at £145,000 and the final one at £170,000 which, at the time, was a record and was sold after just 2 days. Using this average and assuming that the hut at £225,000 has not been over-valued, this would suggest that in 24 months, the prices of beach huts have risen by 53%. This is in stark contrast with prices in the London Borough of Westminster, which includes sought-after locations such as Belgravia, Mayfair and Marylebone, where over the same 24 month period and using the latest Land Registry figures, house prices are up a paltry 25%. It is important, though, to distinguish that all beach huts differ in exact location, size, and quality; therefore comparisons cannot be entirely relied upon. There are claims that beach huts in Mudeford sold in the 1980’s for as little as £7,000, meaning an increase in value since then of over 3,100%. By contrast, using data from Nationwide Building Society to compare house price rises, it is revealed that if a whole house were to be bought in 1984 for that same £7,000 it would, today, be worth just £44,000 (an increase of 541%) – putting into perspective the gargantuan rises beach huts are showing. The figures for London were more encouraging, showing a rise of 780% in four decades, but neither come close to the dizzying rises of beach huts – potentially the next big investment commodity. If you’ve got your money in stocks, property, whisky or the like, should you be looking closer to the sea?